Immaculate level entry townhouse in a quiet country setting, located a few minutes drive from downtown Summerland. Featuring many upgrades including new windows, updated bathrooms, new hot water tank, new plumbing and flat finished ceilings throughout the main living areas. 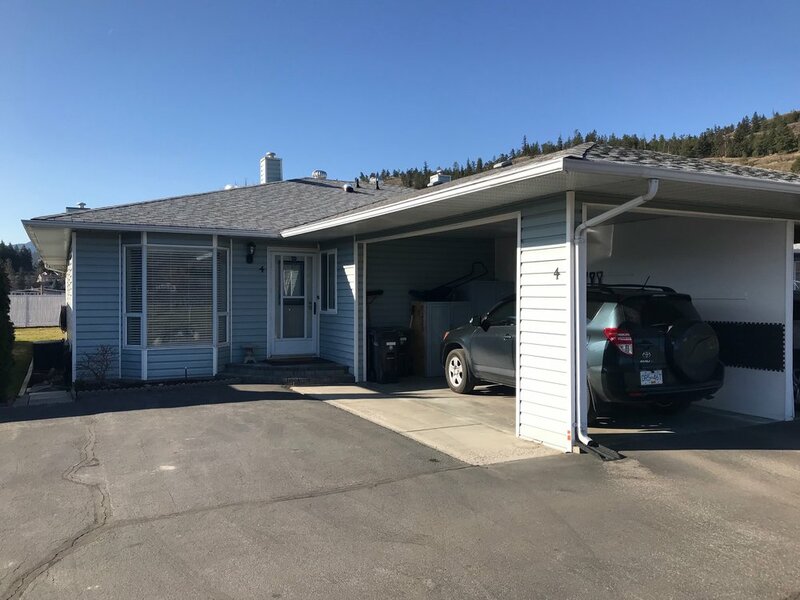 Bright and spacious floorpan with gas fireplace in living room, eat-in kitchen, main floor laundry, master bedroom with new 3 piece ensuite, 2nd bedroom with Murphy bed and covered patio with gorgeous views of Giants Head Mountain. Full basement below offers a family room, bedroom, hobby room, cold room and storage. Carport with additional RV parking available. Call the listing brokerage at 250-490-6302 for your viewing.